Few tourists realize that Venice, perhaps unfairly stuffed with so many other attractions, also boasts an extremely splendid Museum of Natural History in the old Fondaco dei Turchi on the Grand Canal. Researching my latest children’s book, The Fate in the Box, has necessitating my passing many pleasant and distressing hours there. 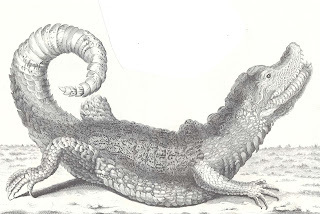 I have borrowed liberally from the premises for my historical fantasy: it was there that I found the Sea-Saurs who are the dread of all the Venetians, and the mounted insects and stuffed baboons who come to life at the climax of the story. I also chose the Fondaco as the living quarters for my villain, Fogfinger, a great trophy hunter, as therefore as the setting for several terrifying encounters. A visit to the museum begins via a small garden. 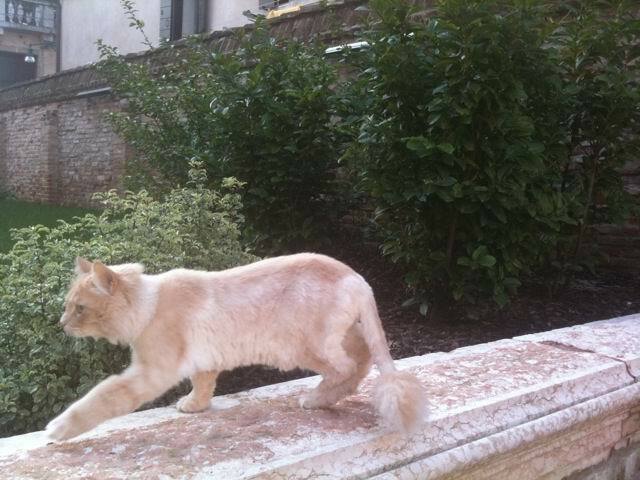 If you are lucky, you may meet this unusually coiffed cat, who frequents the grounds, and who of course became the cat 'Shaveling' in The Fate in the Box. On entering, you climb immediately to the second floor to see the skeletons of a wonderful ancient crocodile Sarcosuchus imperator and a crested dinosaur Ouranosaurus nigeriensis, both from the Cretaceous period, 110 millions years ago. Sarcosaurus, on whom my Sea-Saurs are based, was a long as a bus and weighed eight tons. Its jaw was a metre long. At the end was a bulbous protuberance, the size of a large watermelon. This was the cavity for its nostrils, allowing it to take in air and hide underater for its prey. The curators also think that this large chamber would have given the Sarcosaurus a wonderful sense of smell and also allowed it to make terrifying noises (in my book, of course, it allows them to sing love songs to one another). It had a hundred sharp teeth. Unlike my Saurs, it used them on fish and perhaps also other animals. After the Sarcosaurus, the museum traces ‘The Path of Life’ from the Precambrian to the Cenozoic periods, spelled out in a rich collection of fossils, beautifully displayed. This leads into the older parts of the museum, where things take on a completely different character. Suddenly, you are in the world of ‘ethnographic collections’ of tribal weapons, musical instruments, tools and dress, collected by the poet, musicologist and explorer Gianni Miani (1810 – 1872), who adopted Venice as his home. His collection of 1800 objects includes a priestess mummified with her two crocodiles, which he found on an expedition to trace the source of the Nile in 1859. His handwritten, illustrated journal of his expedition also belongs to the museum. Miani died in Africa on another safari, this time to look for rare and unknown animals. The next two rooms are rather more disturbing, especially for a vegetarian. I have taken parties of poets and writers there for workshop exercises, and seen them break down in tears. So I am not going to show you pictures: I shall describe the the rooms in words. They are lined with stuffed ‘trophies’ (dead animals) slaughtered by Giuseppe de Reali (1877–1937) a rich Venetian land-owner, politician and financier, who undertook twelve big-game hunting expeditions to Africa between 1898 and 1929. Many of Reali’s victims – some now extinct – are displayed decapitated or flayed with just their heads stuffed. Below the mounted heads of giraffes, rhinos, lions and antelopes are photographs of the animals dying: Reali liked to record the moment of their death. Even worse than the mounted heads, in my opinion, is the way in which Reali fused parts of animals together to make bizarre ornaments and home furnishings. Some of the descriptions in this story are taken from what you can see in the museum today. The gorilla with the flattened belly is there – his plaque says he was killed in the French Congo in 1925. (The curator Margherita Fusco told me that his belly is bald because too many Venetian children have stroked it over the decades.) The billiard table with rhinoceros legs is in my book, coming to life and lumbering down the stairs to liberty. The Reali rooms reflect an attitude of their time that now seems quite inappropriate: that the ‘white man’ was entitled, by virtue of his ‘superiority’ to colonize and ‘civilize’ the world. The process included the conquest of the great creatures of nature. The curators have done what they can to show sensitivity in today’s display. The walls are painted blood red – a colour that seems like a comment. And Reali’s photographs of the whole animals, dead, are arranged at eye level, so you can see just what it cost to decorate this room. And most affecting of all are the sounds that you hear in the room: recordings of live animals making their natural noises in the wild. Instead of being a monument to death, the rooms remind you very vividly of what was lost every time Reali added another trophy to his collection. Beyond Reali’s mounted massacre is a room devoted to Giancarlo Ligabue, a Venetian businessman and palaeontologist born in 1931. 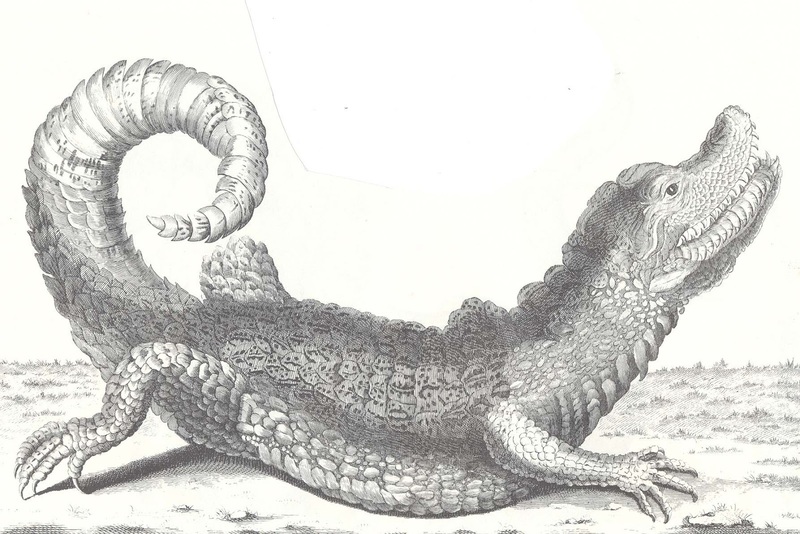 He established the Ligabue Centre of Research Studies, which undertakes expeditions and digs all over the world. This crowded little room is inspired by the famous Wunderkammer of Imperato Ferrante in Naples and shows the preference for the strange kinds of creatures described with wonder in Mediaeval bestiaries or in fanciful travellers’ tales. It was, in fact, little collections of curiosities like this, dating from the 17th century, which launched the concept of displays of natural specimens for education and pleasure, paving the way for the great public museums of the present. Through this room you reach the collection of endearingly shabby stuffed animals – sharks with crossed eyes, mouldy egrets – not hunting trophies but part of a scientific collection donated by Alessandro Ninni (1837 – 1892) and others. Penetrating deeper into the room, you find embryos and body parts mysteriously preserved by a plastination technique that was lost with its inventor, the museum’s long-term curator, Enrico Filippo Trois. There you can also see the skeleton of the bell-ringer, Campanaro, who was a giant. The story is that Trois won the right to this skeleton when he took on the bell-ringer’s gambling debts. The newest part of the museum follows, a series of beautifully arranged and curated rooms illustrating ‘Strategies of Life,’ including locomotion, feeding and migration. In my story, I write as if the museum and all its exhibits already existed just as they are in the 1780s, when The Fate in the Box is set. But the truth is that the museum was not always at the Fondaco de Turchi, and it did not contain quite so much until very recent times. The Fondaco was originally built in the 14th century as a private warehouse and residence. It also hosted important foreign visitors. In 1621, it was allotted to the Turkish community who traded oil, wax, wool, leather and later tobacco in Venice. They occupied it (dividing it into sections for the Bosnians and Albanians, and the Persians and the Armenians) until 1838, and the city acquired it in 1858, subjecting it to a drastic restoration that caused howls of protest among the art and architectural historians. In 1866, some of the current natural history collection came to the Fondaco, and was exhibited on the ground floor in 1880, the year that the building became the first home of the Correr Museum, though the artistic and historical materials were transferred to the current premises in the Piazza San Marco in 1922. This left space at the Fondaco. Gradually, more of the private scientific collections found their way there, including that of Count Alessandro Pericle Ninni. 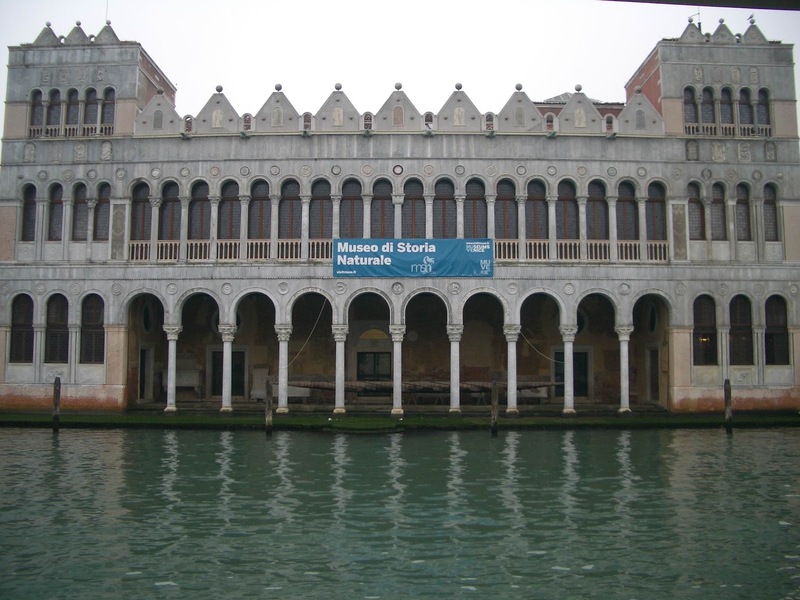 From 1923, the Fondaco dei Turchi became the official Natural History Museum in Venice. In 1930, the older collection was put in the rooms it occupies now. Extensive refurbishment and the creation of the new displays kept the museum closed for many years. 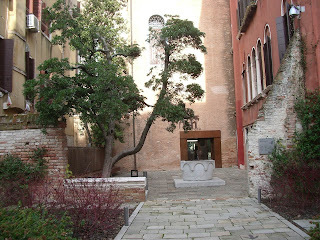 But now it is open again, and provides one of the most interesting and unexpected experiences you can have in Venice. It sounds fascinating! I had no idea there was such a museum there - I'll add it to my list of places to go if I ever manage to make it to Venice. Oh, such a wealth of inspiration. Love to read about your Venetian discoveries...and am hoping for some spare moments to read The Fate in the Box before too long. Essie. 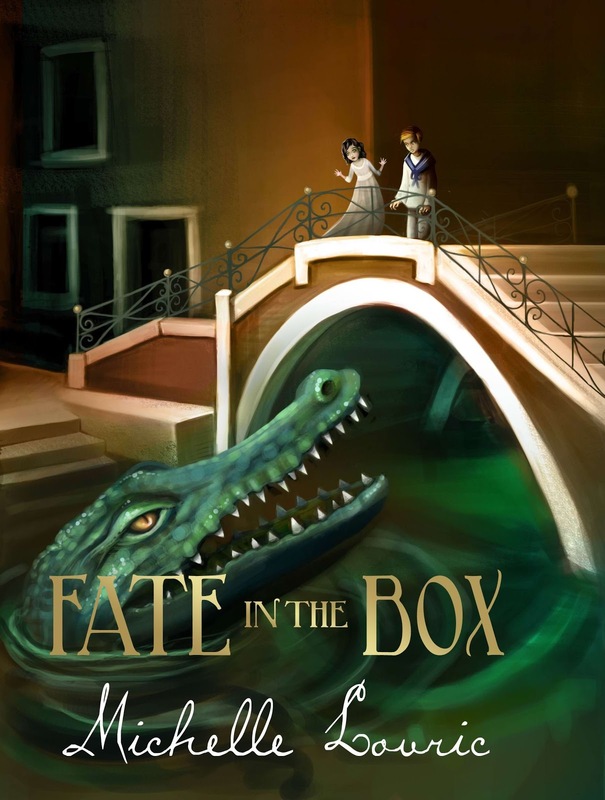 I'm currently reading and loving The Fate in the Box. How brilliant to hear about the real Natural History Museum! You are quite right, such museums are largely shameful monuments to the Victorian male plundering the natural and cultural world. I had no idea either! What a gorgeous post....and the cover of Fate in a box (great title) is beautiful. Will look forward to reading it! So much to see in Venice, and you use it so beautifully in your books! I'm in the middle of reading The Fate in the Box too, and revelling in it. Gosh how wonderful! I want to go to Venice again! Sounds even better than the Pitt-Rivers. Your account of the hunting trophies is truly ghastly. Reminds me, though, of the man who made the wonderful gardens at Inverewe. He wrote a memoir and described wholesale slaughter of puffins, I think (for sport), and then said: There aren't as many puffins as there used to be.' Seemed to think there was no connection.